Andreas Goetz is director of the Computational Chemistry Laboratory and co-principal investigator of the Intel Parallel Computing Center, both at SDSC. He has extensive experience with quantum chemistry and molecular dynamics simulations, and is a contributor to the ADF and AMBER software packages, both widely used in academic and industrial research. Andreas develops new multiscale and multilevel simulation models and optimizes code for new HPC architectures, including many-core and GPU accelerators. He collaborates on a variety of research projects in molecular simulation, computational catalysis, biophysics, and drug design, most prominently as a principal investigator with the National Renewable Energy Laboratory, as well as an international collaboration with the ENS Lyon in France. His work is funded through the Department of Energy, the National Institutes of Health, the National Science Foundation and Intel. Andreas also enjoys training the next generation of scientists in software development and numerical simulation methods via lectures, workshops and, supervision of interns. 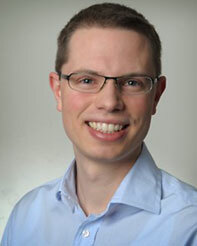 Prior to joining SDSC in 2009 Andreas performed postdoctoral research with Professor Lucas Visscher in quantum chemistry at the VU University in Amsterdam and obtained his undergraduate and Ph.D. degrees in chemistry with specialization on theoretical chemistry under guidance of Professors Bernd Hess and Andreas Goerling from the University of Erlangen in Germany.